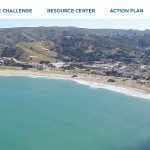 Established in July 2014, the Office of Sustainability (OOS) helps the County of San Mateo and its communities adapt to our changing environment by providing services and resources that inspire new ideas and solutions. The Affordable Housing Task Force is managed by OOS and was created to bring community leaders together in order to learn about the challenges created by the current housing market, develop a menu of solutions, and commit to bringing those solutions back to the community for further discussion and potential adoption. As OOS continues to grow with new staff and programs, they sought to launch new websites for both the Task Force and OOS to reflect the creative, progressive, and community-minded culture of their office. 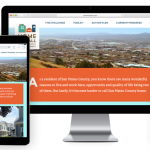 Circlepoint successfully developed and launched the Affordable Housing Task Force website in a tight timeframe. The website serves as a hub for community members, government leaders, and business owners to learn about the issues surrounding affordable housing in our region. Circlepoint led the development of the new website from the beginning, from design requirements and needs assessments, to creating and refining mockups, to copywriting and editing, to developing and launching the site. We incorporated the brand we had developed previously for the task force into the site, and created custom infographics to explain the main concepts presented on the site. The site also includes a toolkit section that provides a variety of resources and learning materials for interested stakeholders. An interactive map was developed for the site to showcase the work currently underway across the county to address affordable housing.